Email minman@cityofirving.org to reserve your spot for you and your loved one. Irving Arts Center presents a new program of concurrent art/creativity workshops for persons with Alzheimer’s and other dementia related illnesses and their caregivers. While your family member or friend with Alzheimer’s is participating in a separate Alzheimer’s Association art program (Memories in the Making®), caregivers will have the opportunity to relax, learn and engage with activities in the visual arts, music, and more offered in our series of Creative Arts Expressions Workshops. Memories in the Making® workshops are led by trained facilitators from the Alzheimer’s Association, Dallas & Northeast Texas Chapter. Flexibility. Adaptability. Spontaneity. Listening. Courage. Generosity. Acceptance. Trust. These are all characteristics of an excellent caregiver. They are also qualities of an excellent improv comedy performer. These worlds are parallel and the Improv for Caregivers class builds upon these parallels. Employing improv games and exercises, we provide caregivers with the methods to become better at what they do. Understanding your loved one’s new and changing perspective of their environment. New Nonverbal and Verbal ways to communicate with your changing loved one. How to step into your loved one’s new world and respond appropriately instead of reality checking. Taught by psychotherapist and Improv for Life Director, Andrea K. Baum and Stomping Ground Managing Director, Lindsay Goldapp. 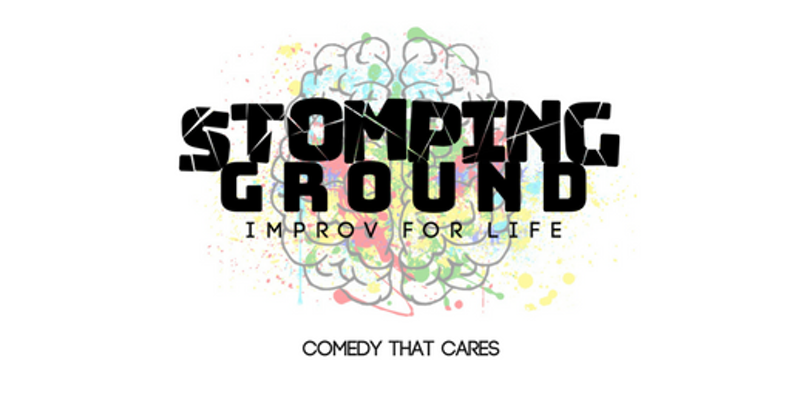 Stomping Ground Comedy Theater is a non-profit organization.